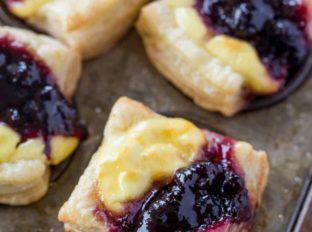 Blueberry Vanilla Goat Cheese Pastry Bites with just five ingredients are the easiest appetizers you’ll serve your guests. Prep ahead of time for parties. 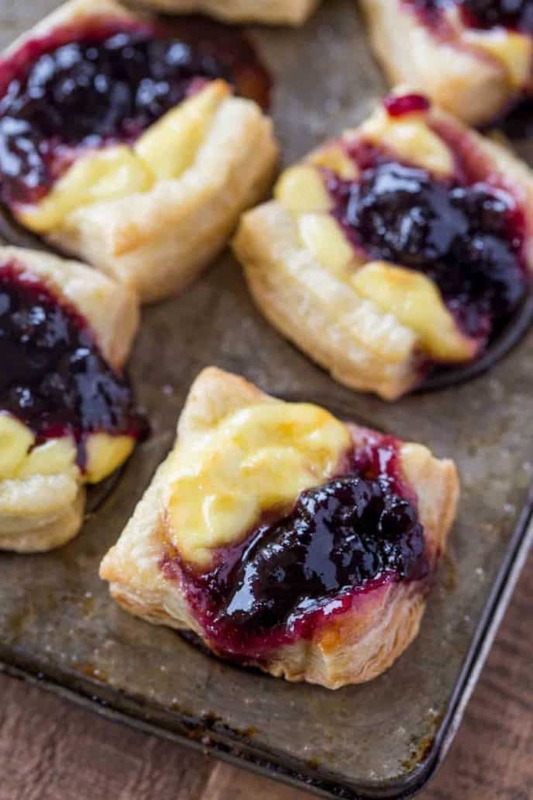 Blueberry Vanilla Goat Cheese Pastry Bites are the last of my favorite pastry bites I’m sharing with you all (at least for now!). It may be too late to make them for Christmas or New Years Eve, but they are PERFECT for Valentine’s Day. So for all you romantics, maybe this can be an early start to planning for your favorite romantic holiday of the year. 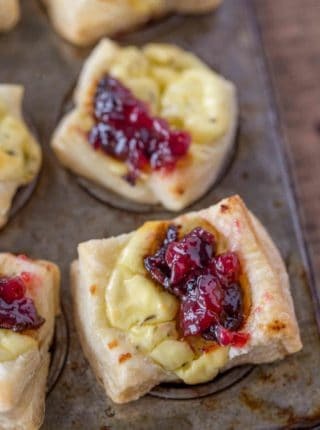 Much like the other two Pastry bites, Cranberry Goat Cheese Pastry Bites and Caramelized Onion Feta Pastry Bites (Copycat) these puff pastry bites are as easy and delicious. Yes, they’re also only five ingredients too! 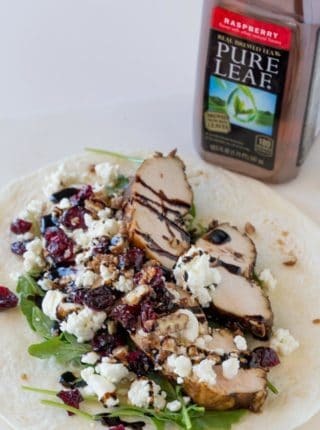 Like the cranberry bites, these are super easy and ready in just minutes. 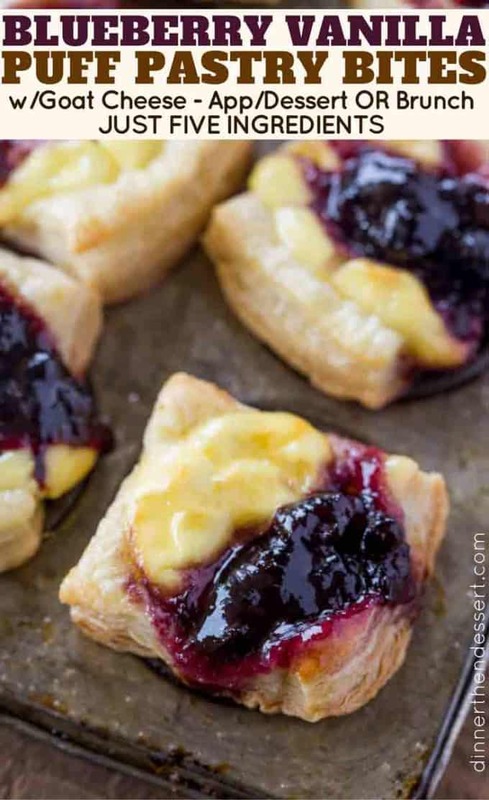 With the addition of the vanilla extract and blueberry jam it tastes like a mini danish bite! Feel free to swap out your favorite jam flavors. In fact if you have multiple flavors you can use a few different varieties. Then when serving you’ll have a fun assortment. With the current recipe add in some lemon zest as well. Lemon curd or lime curd with some extra zest added after baking. I prefer to let puff pastry thaw in the fridge but if you’re in a hurry open it up on the cutting board and put a very lightly damp towel over it so it doesn’t dry out. Spray your mini muffin tins before adding the pastry. Blueberry jam is a little runnier than other jams, err on the side of caution or it can run onto the pan and burn. Get the lightest brown you can on the tops because the bottoms will be more browned. If you didn’t add enough jam before baking add some more after they’re out of the oven. 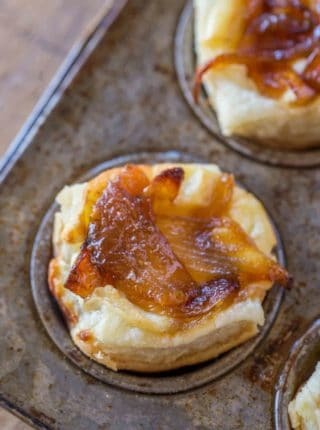 Don’t be fooled these puff pastry bites can be an appetizer, a dessert or even a brunch item. They pair well with mimosas or wine, so basically I’ve got you covered from morning until night with one recipe! 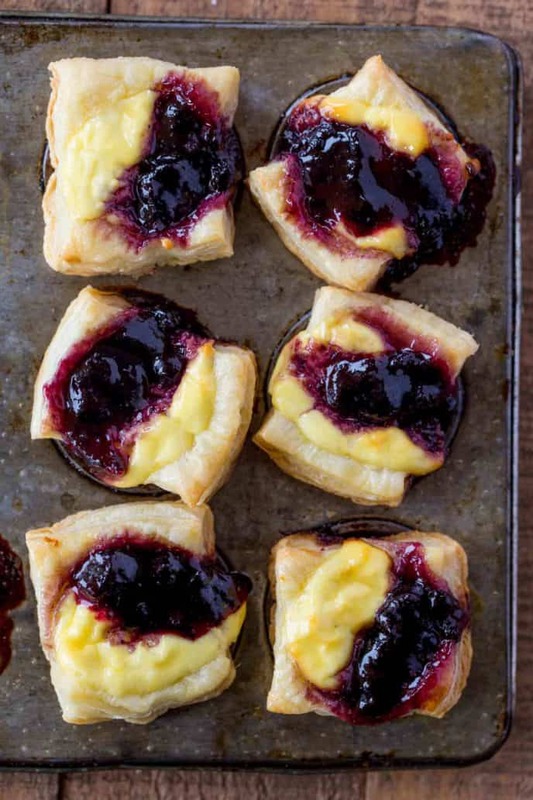 Want to freeze these Blueberry Vanilla Goat Cheese Pastry Bites? Want to make this into a slab? Keep the puff pastry in three large triangles. Score a rectangle shape a half inch from the border and fill with the goat cheese mixture and top with the blueberry jam. Bake for 20-22 minutes. Directions can be found here. Vanilla Extract: Great flavor, one of the few brands that the price hasn’t skyrocketed. 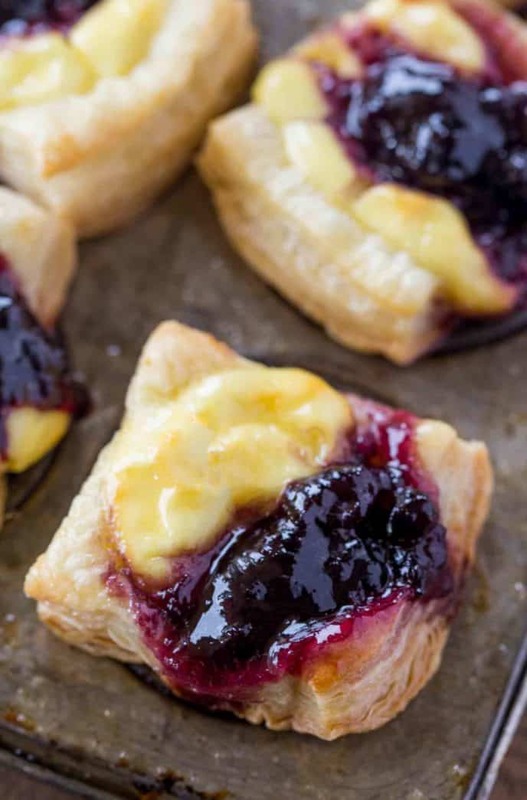 Blueberry Vanilla Goat Cheese Pastry Bites with just five ingredients are the easiest appetizers you'll serve your guests. Prep ahead of time for parties. I am also confused on the pastry sheets…have never opened a box. Is one sheet several layers? So if you unfold the 3 rectangles (of several layers?) and cut half of it into 30 squares? That would be cutting 1/3 and half of the next 1/3? Keeping the other half for a possible double batch? I’m seriously confused I guess. I just googled Puff pastry and see that there are 2 sheets so you just use one sheet here and you but one entire sheet into 30! Think I’ve finally got it!! ha! Could you please clarify about cutting the puff pastry? I haven’t worked with it enough to know. Will this make 90 appetizers out of 1/2 package of it? So sorry for any confusion. Each Puff pastry sheet originally comes folded into thirds. You’ll want to unfold it and cut it into 30 squares total. If you want to double the recipe, you’ll get 60 appetizers out of one box of puff pastry. Hope this helps. These could be VERY dangerous! Estoy feliz de haberme suscrito a sus recetas. Prepare la ensalada griega y las “mordeduras de queso de cabra y arandalo” salieron maravillosas!!! Estoy tan feliz de que los hayas disfrutado. ¡Espero verte en el sitio! I love this flavor combo! Blueberry and goat cheese are great together! Love that these are made with only 5 ingredients! 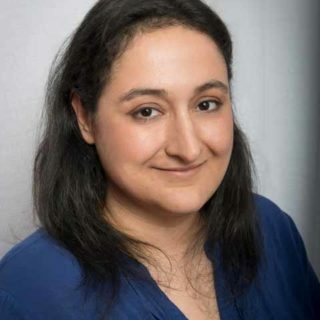 Thanks Amanda! Definitely super easy!! the perfect 2 bite dessert! These look and sound so good! 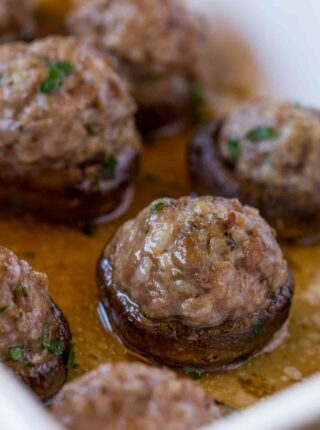 I have to make them soon! This would go fast in my house! Saving for the future! Make sure you get at least a few before they disappear!